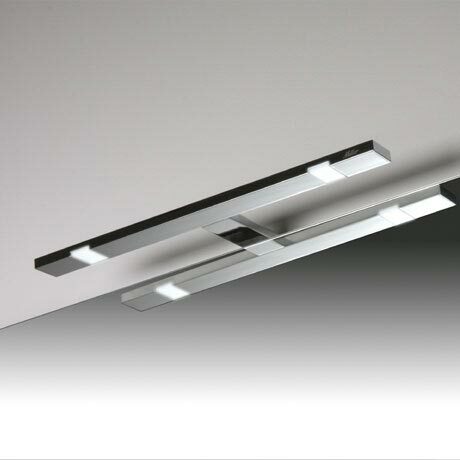 A stylish chrome upper top light incorporating LED technology suitable for Miller bathroom cabinets and mirrors. This energy efficient IP44 rated fixture gives off a white neutral sheen to bring out the true elegance of your bathroom furniture. LED-lighting in chrome with a white neutral sheen. One light fits bathroom cabinet 40, 60, 80 and 100 and mirrors 40, 60, 80 and 100. Choose two lamps for bathroom cabinet 120 and mirror 120. All electrical items should be installed by qualified electricians.